In this video, Streetgangs.com‘s N’neka Hite interviews Jay Rock in a place familiar to the rapper: the Nickerson Gardens Projects in Watts, Los Angeles, California. 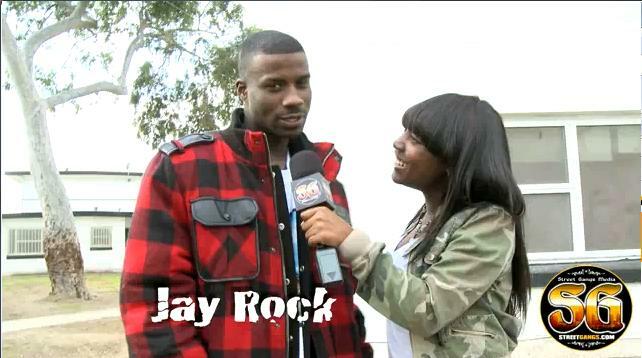 Hite asks some intriguing questions and gets Rock’s perspective on why it has been “so hard for a Watts artist to break.” Before a few friends stop by near the end of the clip to show their support, Jay Rock talks a little about his rough background and lets fans know he’s got a story to tell. You can watch the video here or below.